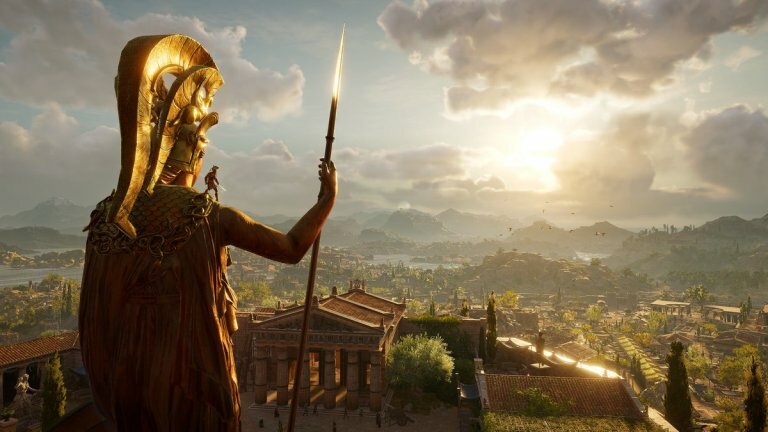 Although Assassin’s Creed Odyssey officially hit Xbox One, PlayStation 4, and Windows PC devices, the problems quickly happened with many users. The current list of problems includes crashes, bugs, and common performance issues. Some of the issues require an update from Ubisoft, but other problems can be easily fixed in a couple of minutes without requiring you to be an advanced user. In this post, we’ll walk you through the most common Assassin’s Creed Odyssey problems impacting the three platforms as well as potential fixes for each one. Let’s see! When you are downloading Assassin’s Creed Odyssey to your console or Windows computer, but the download gets stuck or is taking too long to complete, here are a few things you should do to fix the issue. If the download suddenly stops before 100%, you should then pause the download, wait for 30 seconds, and start the download again. This small tip can resolve the issue. If it does not help, you should cancel the download, which is not an ideal solution due to the game’s size, and start the download from scratch. If you see the download speed is too slow, you can prepare an Ethernet cable and plug it directly into your Xbox One, PS4, or Windows PC. It can dramatically speed up the download, especially your device is quite far away from the Wi-Fi router. Restarting your router is also a good option to fix slow download speed. Simply power your router off, wait for a few minutes and turn it back on. Similar to other 2018 games, Assassin’s Creed Odyssey also requires a large amount of free space on your hard drive for the installation. Sometimes, the game cannot properly be installed on your device due to the lack of storage. If you are facing the installation problems, first you should check your storage. Those who are using Xbox One devices, simply head to the My Games &Apps section. From here, you can check how much free space left on your internal/external storage. Those who are using PlayStation 4 devices, you just go to the Settings app and check the available space on your console. Make sure there is enough space to install the game. If your device has enough space, but Assassin’s Creed Odyssey still does not install properly, you should hard reset your console. To do so, simply press and hold onto the Power button on your console until you see it shuts off. After that, switch it back on and then check the installation again. If there are problems with the game’s online features, here are a few solutions you can try before you get in contact with Ubisoft for further support. First, you can check Ubisoft’s official social media account for widespread server issues. While these are not common, it’s the most ideal place to look if you’re dealing with major issues. There’s also a chance your connection issues related to Xbox Live or PlayStation Network outages. If you are playing the game on your Xbox One, you should check the status of Xbox Live from here. If you use PlayStation 4, visit right here to check the PlayStation Network status. If you play Assassin’s Creed Odyssey on Windows PC, you should ensure that there is not any software like anti-virus program preventing your computer from connecting to the servers. Another great solution you should do is enabling UPnP (Universal Plug and Play) from your router’s settings or using port forwarding instead. There are three ports, including TCP/UDP: 80, 443 in the game. If none of the above methods helps, you can then try power cycling the console and then check if the connection issues have disappeared. You are playing the game but it suddenly locks up during a cutscene or another part, you simply force close the game, restart your console or PC and then play it again. You have pre-ordered a copy of Assassin’s Creed Odyssey or purchased a special edition, but your bonus items were not showing up when playing the game, here’s what you should do. First, you need to ensure sure that you properly redeemed your items in the right place. You can do that here for pre-orders, here for special editions, and here for redeeming in-game. Once you have successfully redeemed the items, but they have not shown in the game yet, you should try downloading the items manually. Here’s how you can do that on your PC, PS4 or Xbox One. If the problems start at The Blind King bonus quest, you first need to complete Chapter 1. After that, the quest Prince of Persia will appear in the World & Characters section of your quest log. If you can’t find the Secret of Greece quest, you also need to make sure you complete Chapter 1. After it’s completed, the quest the Dunce Conundrum will automatically show up in the World & Characters section. If you are not still able to get your bonus items, you’d better contact Ubisoft’s support team. Let them know what edition you bought, the package or bonus content you redeemed, and what content you missed. If characters in Assassin’s Creed Odyssey start flickering after synchronization, you just close the map and reopen it multiple times. According to Ubisoft, this issue is under investigation and it can only be fixed in a future patch update. When you are playing the game, but its sound suddenly cuts out, just close the Assassin’s Creed Odyssey and then reload it. If you play the game on your Windows PC, you need to ensure that your computer is using a DirectX 9.0c compatible sound card with the latest drivers installed. If not, you will catch audio issues. These are the most common problems on Assassin’s Creed Odyssey game and their potential solutions. If you are facing other problems when playing the game, let’s know in the comment below.